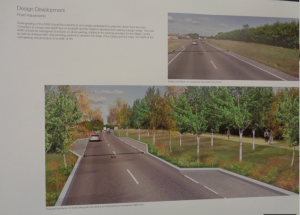 At a public exhibition held in Broadbridge Heath on Monday night (11th May) plans were revealed for the old A264. 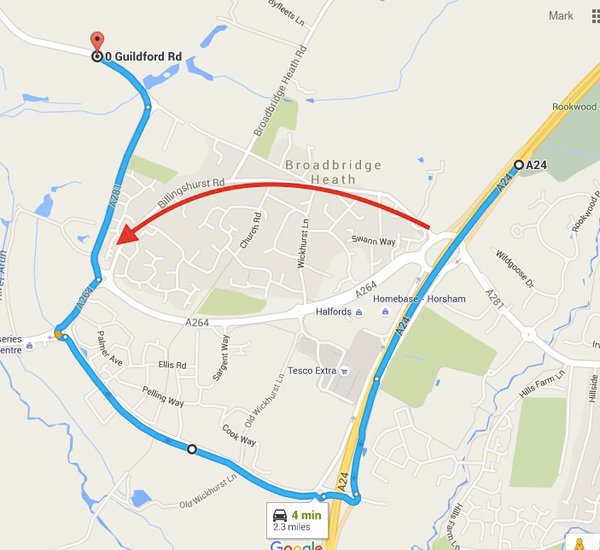 The first phase of the works will be traffic calming within Broadbridge Heath in an attempt to prevent cars using the village as a short cut instead of going the long way round the new A264 bypass. 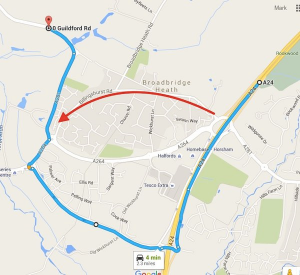 These works will include a 20mph zone, shared space at the end of Warnham Road, and zebra crossings for Billingshurst Road and Old Guildford Road. The existing “old” A264 will later be downgraded. Cars will still be able to reach Tesco from Farthings Hill, but through traffic will be prevented from doing so. 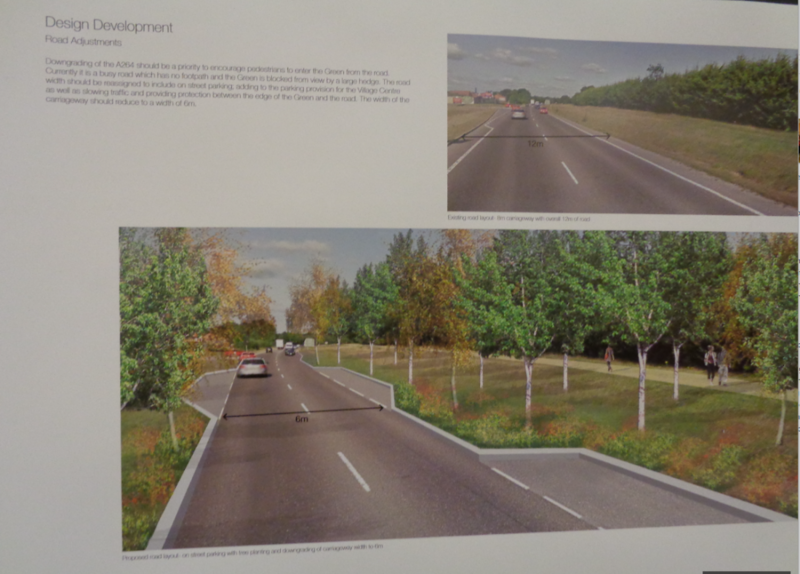 The new visualisation shows the road being narrowed with car parking bays alongside the road. The western end of the road will be for buses. The forum is disappointed to note that there is currently no provision for cycling on this vital route. The map below shows the new alignment of the A264 and the potential “rat-run” that traffic calming is intended to prevent. You can see detailed plans here.